It’s me! I’m back. I know, I disappeared on you guys again. I’m sorry. It’s just, you know… Life. So, it’s been a month since my last post. Since then, we celebrated our first home-iversary. Yes, Casa Cuyugan turned a year old, and I never got to write about it! Basically, we celebrated with a nice big pot of sinigang. Why sinigang? Because it’s the first thing I ever made in my brand new kitchen, and we’ve decided to make celebratory sinigang a tradition. Since it was a special occasion, I made sure that my sinigang was special, too. I used leftover frozen Zubuchon instead of plain pork. Soooooo good. So obviously I was feeling proud of myself for making more than just the usual sinigang, right? Well, lo and behold, days later, I learned a few more ways to jazz up this old favorite. 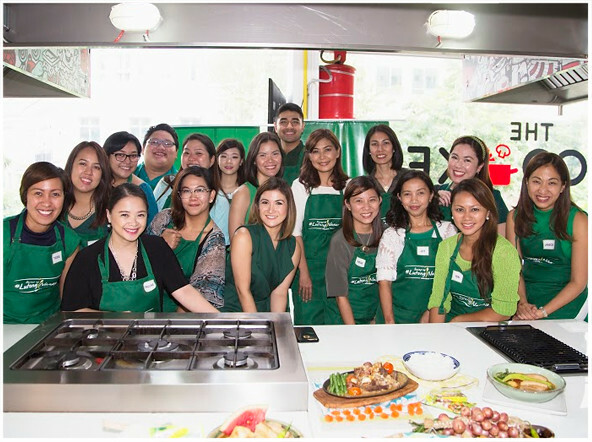 This happened at the Knorr #LutongNanay event at The Cookery Place in BGC, which was hosted by celebrity mom, Camille Prats. Class photo at the Knorr #LutongNanay event! You guys have to understand, my pantry is stocked with Knorr products in real life. I grew up with food made from these recipe mixes, soups, broth cubes, and seasonings. I learned to cook using them, too. The sinigang mix in particular. This is the only way I know to make sinigang. I’m beyond excited to be part of the Knorr #LutongNanay campaign. Feel na feel ko sya. I’m a home cook, and I take pride in the dishes that I prepare for my family. Food really is my love language. Meal time is bonding time for us, too, so I really do my best to have hot, fresh favorites ready for the occasion. It’s like a baby version of my pantry! Only, I have fewer pretty plates. 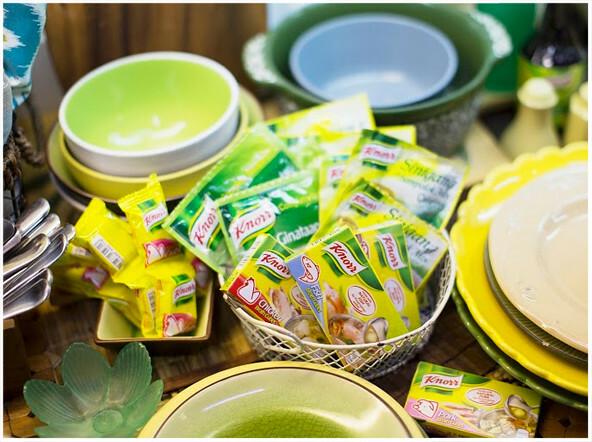 Knorr’s Senior Brand Manager, Czarina de Leon-Manalo, shared with us that the goal of the campaign is to bring back the value behind home cooked meals especially since people choose to eat outside or even alone in this fast-paced world. After the introductions and presentations, Chef Sari Jorge of 25 Mushrooms Kitchen started off with a demo of Knorr Sinigang with Pakwan. Truth – I wasn’t too sure about the idea of having watermelon in my sinigang. But guys, you have to try it. The pakwan adds a nice touch of sweetness to the broth. Extra rice levels. 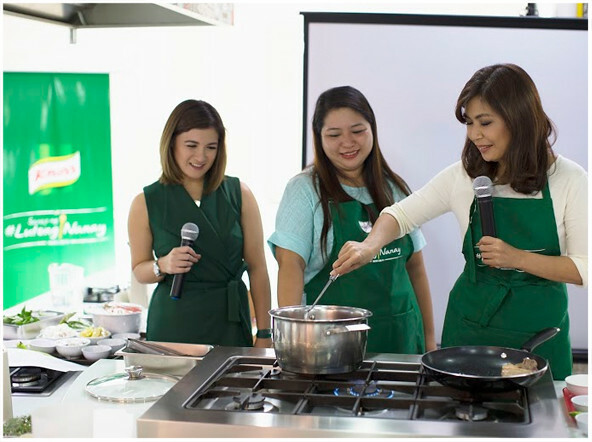 Chef Sari Jorge teaching us how to make Knorr Sinigang with Pakwan, with the help of Camille Prats and Peachy. It’s our turn to cook! 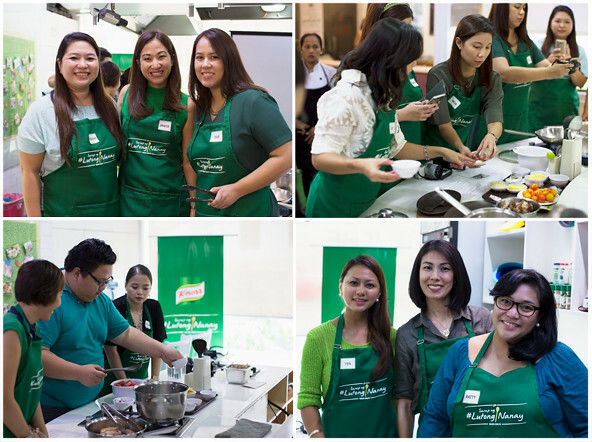 After the demo, we were split into four groups, and each one had to prepare an out of the ordinary sinigang recipe. Ours was Knorr Sinigang na Grilled Liempo. This was super similar to my lechon sinigang, with a smoky-tart-salty broth. I love that it’s a creative way to use up leftover grilled meat, too. The one I am super excited to make at home is this Knorr Sizzling Sinigang. Isn’t it so interesting? I heard that there’s a restaurant that serves this, but I’ve yet to try it. I never thought you could serve sinigang on a sizzling plate, but diba, this looks so good? 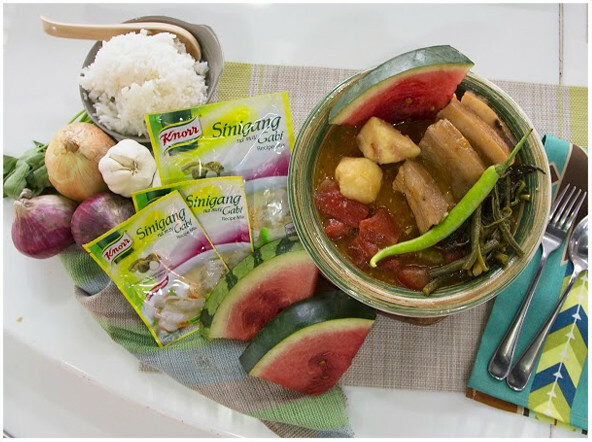 Another team made a Knorr Surf and Turf Sinigang, and the last group prepared their version of the Knorr watermelon sinigang recipe. 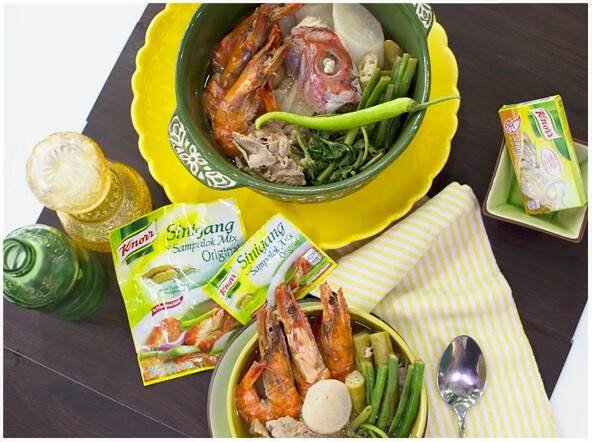 Knorr Surf and Turf Sinigang. Classy! It was such a fun afternoon, and I’m extra happy because I now have four new dishes that I can make for dinner at home. I wonder which of these Knorr sinigang versions the boys will like best? Keep you posted! Knorr Sinigang with Watermelon. It’s actually good! Do you do sinigang differently? Tell me about it in the comments! Ooohhh I agree, sobrang sarap ng beef sinigang!